Dutch architect Herman Hertzberger (Amsterdam, 1932) graduated in 1958 from what is now the Technical University of Delft. His architectural practice, the nowadays AHH, was established in 1960. His best known designs include those for the Centraal Beheer head office in Apeldoorn, Music Centre Vredenburg in Utrecht, The Ministry of Social Affairs en Employment in The Hague and the Chassé Theatre in Breda. His office is known for its many cultural buildings, schools and residential buildings, not only in The Netherlands, but also abroad. 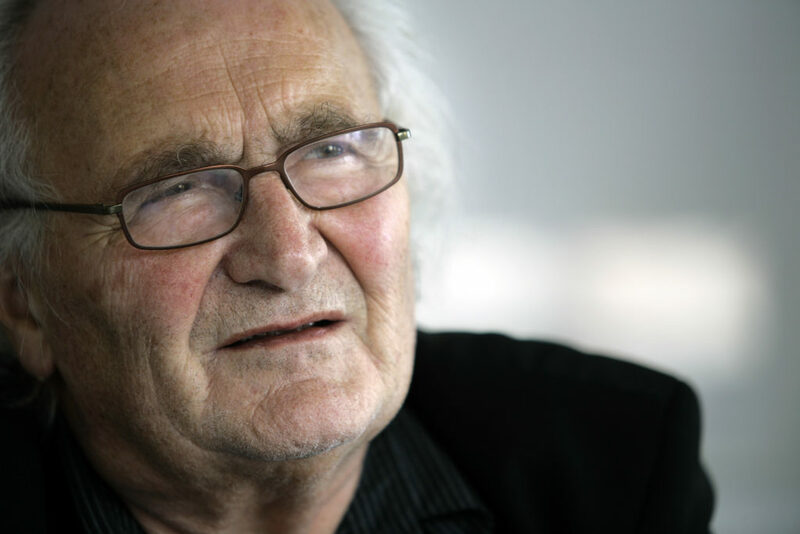 National and international Herman Hertzberger has been granted with many honorary fellowships and received prestigious awards for individual projects as well as for his work as a whole. In 2012 he has been awarded with the Royal Institute of British Architects (RIBA) Gold Medal and in 2015 he received the esteemed Thomas Jefferson Foundation Medal in Architecture. Hertzberger’s projects have been published and exhibited all over the world. He was one of the editors of FORUM (Dutch magazine), together with Aldo van Eyck and Jaap Bakema. Along with many magazine articles he wrote the books « Lessons for students in architecture » (1991), published in English, Dutch, Japanese, German, Italian, Portuguese, Greek, Chinese, Persian, Korean, French and Czech, and « Space and the Architect, Lessons in Architecture 2 » (2000) with elaborated versions of his lectures, also charting the backgrounds to his work and the ideas informing it. In 2008 « Space and Learning » was published, a book that brings together his knowledge and ideas in a theoretical study of the spatial conditions of learning. In October 2009 his book « The Schools of Herman Hertzberger » came out.This book is not only a presentation of his built and unbuilt schools, but the sociologist Abram de Swaan also addresses Hertzberger’s work in an essay, paying tribute to him as a pre-eminently ‘sociological’ architect. His latest book « Architecture and Structuralism », published in 2015, attempts to formulate what structuralism means in architecture and why that matters, given a new impulse to the discussion about sustainability and a blueprint for a more democratic architecture. Documentaries on Herman Hertzberger that came out on DVD are « Searching or Space », a film by Kees Hin (2010) and « The School as City » of the filmmakers Moniek van de Vall and Gustaaf Vos (2012).